This is an inspiration book. I've been looking at several of these lately. They aren't things I would necessarily do but they are things that make me think about how I live. 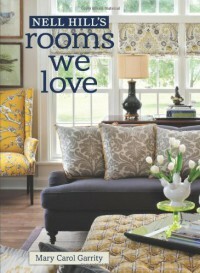 Decorating is not a talent of mine so I need guidance and these type of books make me look at my stuff in new ways. This particular book focuses on 4 houses specifically. While they are different types of houses, they are all decorated in what I would consider "traditional." To me that means partly elegant, partly cozy. What I always notice is the little reading retreats that most of these houses manage to work in somewhere. I envy a little private place to read. Several of the pictures in this book make me reconsider a few places in my house where I might be able to create one. The pictures are beautiful and there are plenty of them. The decorating looks above my pay grade but again, it's inspirational. I enjoyed looking through this and dreaming. This was provided to me through Netgalley in exchange for an honest review.